Easy crostini with ricotta cheese, pesto and roasted asparagus is simple fresh and perfect for entertaining. 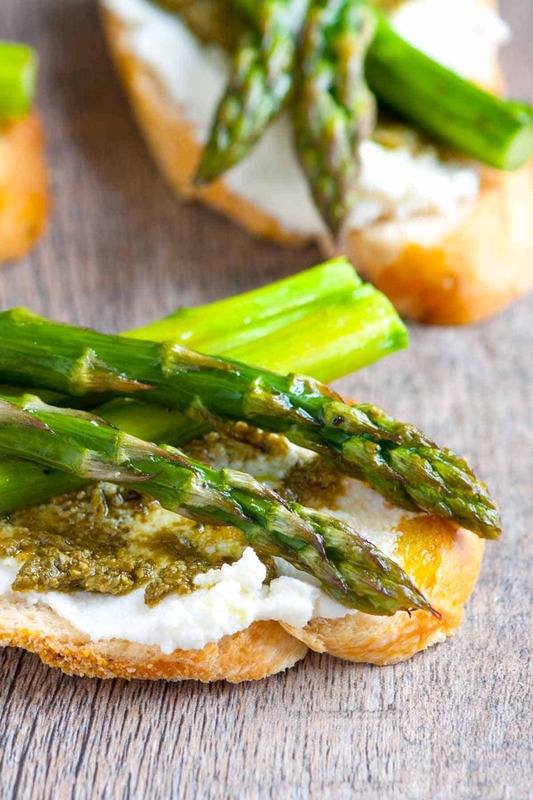 Jump to the Roasted Asparagus, Ricotta and Pesto Crostini Recipe or read on to see our tips for making it. 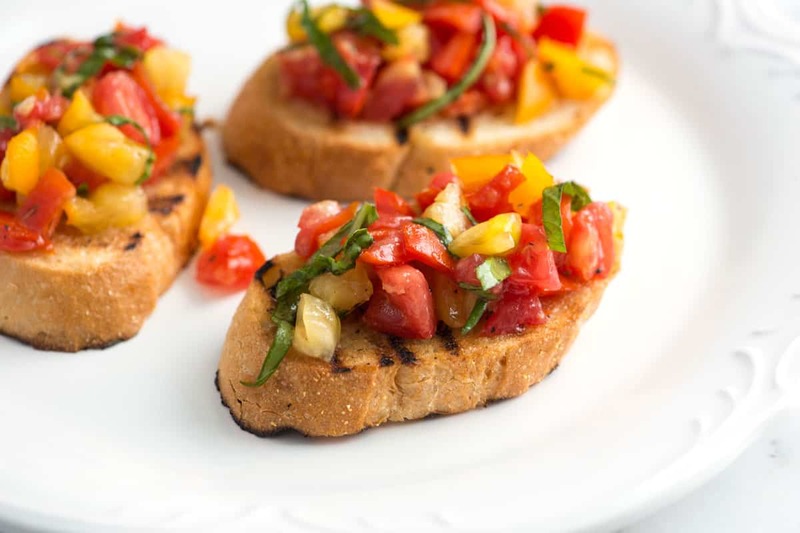 This crostini recipe is simple and fast. We love using asparagus, but lots of veggies will work in their place — roasted tomatoes or roasted broccoli are our favorites swaps. Most asparagus we buy at the store have pretty thick, woody stalks. We like our asparagus tender and those thick, woody stalks don’t really help us with that. To deal with this, we peel them. Run a vegetable peeler down each stalk before cooking and you’ll be on your way to some seriously tender asparagus. Roasted asparagus is easy. 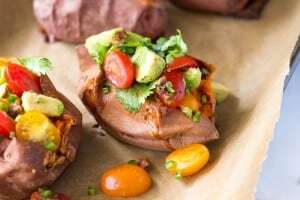 Toss with olive oil, salt and pepper then bake in a hot oven. You’ll know they’re ready when the tips just begin to brown. When you’ve got the asparagus roasted, the crostini comes together fast. 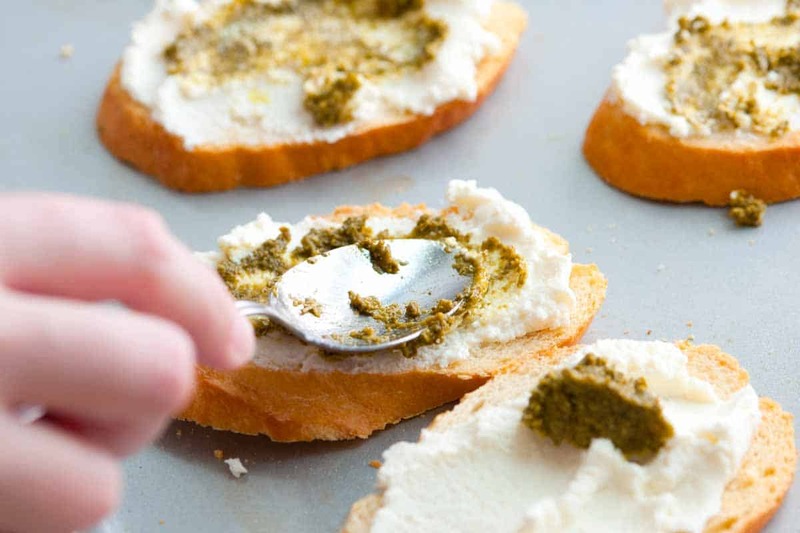 Spread some ricotta and pesto over baguette slices then top with a couple pieces of asparagus. For the pesto, we love making our own — here’s our homemade pesto recipe. If you don’t have the time or fresh basil available, store-bought works well, too! 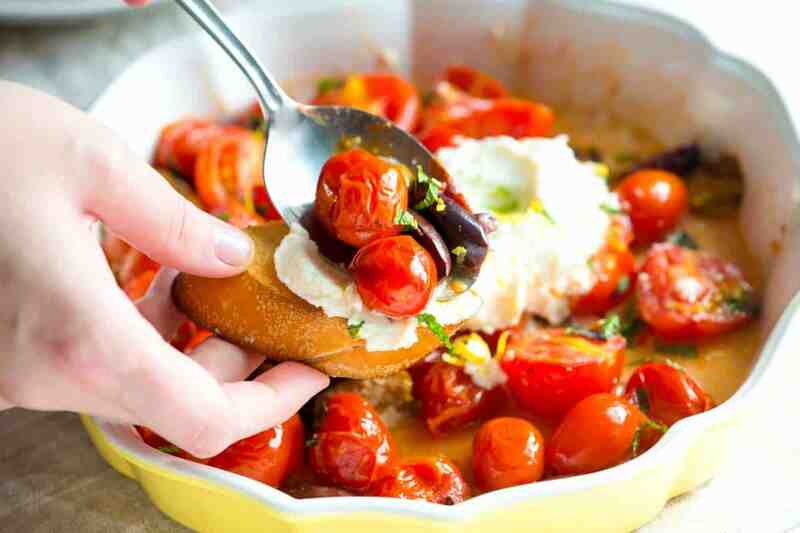 YOU MAY ALSO LIKE: These roasted tomatoes with ricotta is absolutely perfect when served as an appetizer. Jump to the Perfectly Roasted Tomatoes Recipe with Ricotta and Mint. 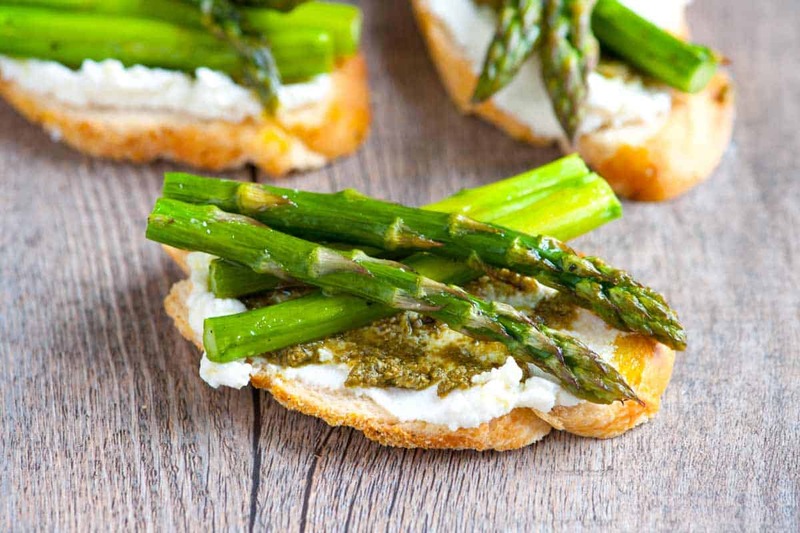 We smear lightly toasted bread with ricotta cheese, pesto and roasted asparagus for a simple and quick appetizer. 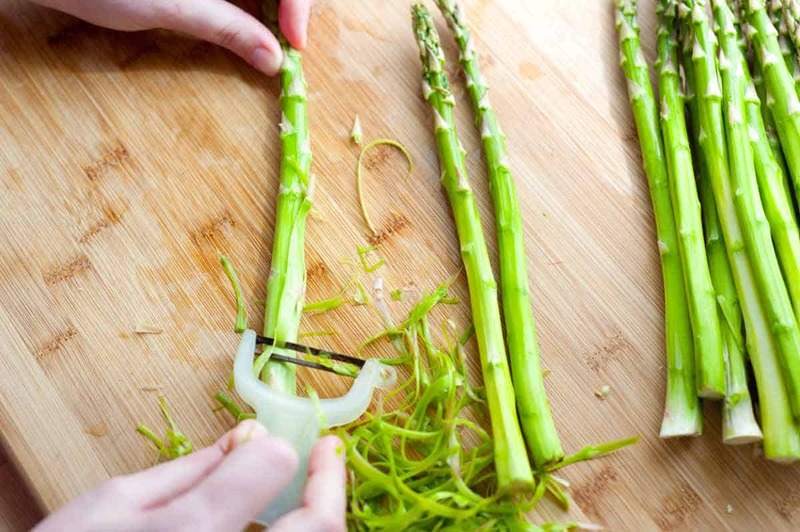 When you buy your asparagus, look for bunches that have thinner stalks, if you can only find thick-stalked asparagus, use a vegetable peeler to peel away the outer layer of asparagus as this can be a bit tough. You can also swap the asparagus for other roasted vegetables — we love using tomatoes or broccoli. Heat the oven to 400 degrees F. Line a baking sheet with aluminum foil. Rinse asparagus and pat dry. Trim about 1/2-inch from the stalky ends. 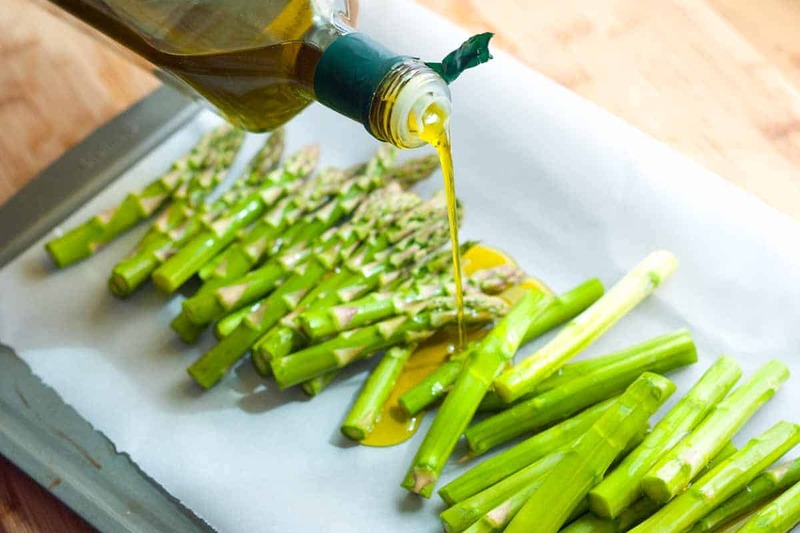 Place trimmed asparagus onto the baking sheet and toss with olive oil, and then lightly season with salt and fresh ground black pepper. 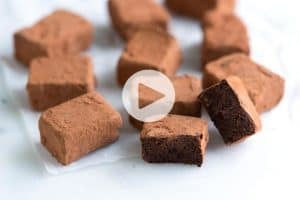 Spread into a single layer. Bake until the tips begin to brown and the stalks are tender, 15 to 25 minutes depending on the thickness of your asparagus. 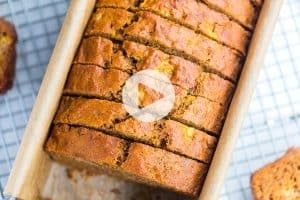 Just before serving, add bread slices to a clean baking sheet and bake in the oven until they begin to toast around the edges, 2 to 4 minutes . Spread ricotta cheese onto each bread slice. 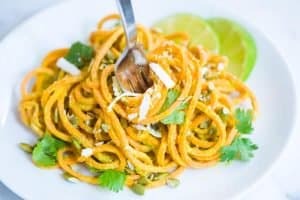 Spread about 1 teaspoon of pesto over the cheese and top with a few pieces of roasted asparagus. Asparagus never looked so good! That asparagus crostini is looking good!